At Control Vision, Inc. we believe that products built on solid engineering and physics will perform better and last longer. When corners are cut in analysis and design our customers pay the price in performance and maintenance. Our designs have the proper analysis, engineering, and testing performed at the front end ensuring they exceed our customer's expectations in the long run. Our goal at Control Vision, Inc. is to provide innovative solutions which help our customers maintain the competitive advantage. 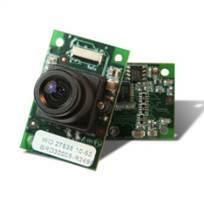 CVI offers advanced optical design capabilities. In combination with our partners at the The University of Arizona Optical Sciences Center, CVI has developed numerous one-of-a-kind optical systems for applications ranging from thermography to metrology. CVI has successfully developed and fielded robust thermography for defense measurement systems, structed illumination by custom laser design, 3-D profile measurement, and other optical systems. Our optical design capabilities fit ideally with the Embedded Systems and Image Processing capabilities at CVI that allow us to provide full systems integration from illumination, optics, detectors, electronics, and processing. CVI's Image Processing capabilities are led by The University of Arizona Optical Sciences Center graduate Wiley Black, who has developed and published novel image processing techniques such as the Feedback-integrated Scene-Cancellation algorithm that represents the state-of-the-art method for in-situ calibration of nouniformity in staring infrared sensors. CVI has worked with both real-time and post-processing image processing, and has developed a number of measurement and calibration techniques for a wide range of missions and product designs. The embedded systems group at CVI has experience developing Microcontroller, Digital Signal Processing (DSP), and Field-Programmable Gate Array (FPGA) platforms. 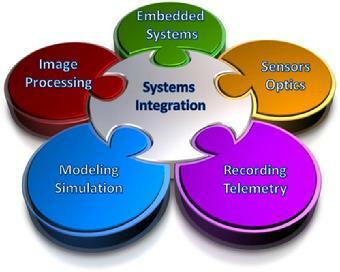 The embedded systems group at CVI provides the rare ability to bridge embedded platforms and firmware and software development. In concert with our telemetry and recording capabilities, CVI offers unique extensibility capabilities that provide future-oriented designs that can handle the rapid evolution characteristic of modern products and systems. Control Vision, Inc. has expertise in modeling and simulation in the following areas: Mechanical, Electrical, Electronics, Optical, Hydraulic, Pneumatic, and Magnetic. 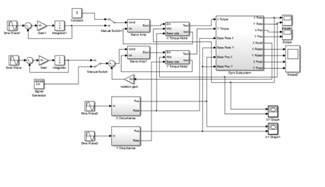 Control Vision, Inc. maintains licenses in SolidWorks, MatLab with Simulink, and Zemax.